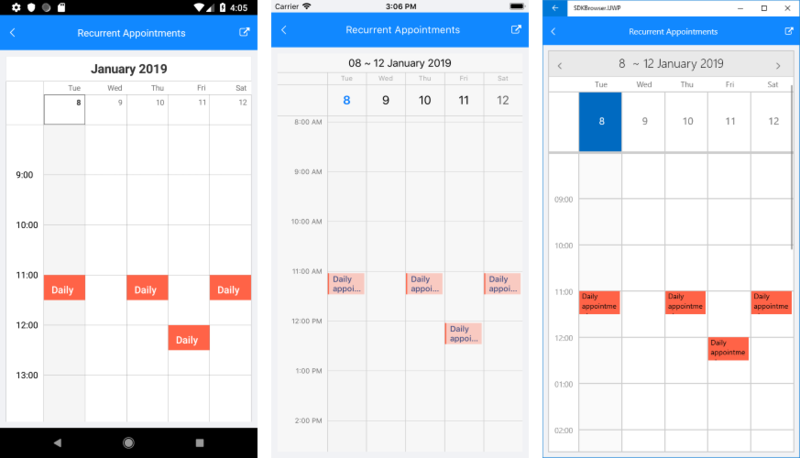 RadCalendar provides the functionality to configure repeating appointments. The user has the ability to apply recurring scheduling patterns such as daily, weekly, monthly or set a range of recurrence from date to date. The flexible rule mechanism covers the most common recurrence scenarios. Furthermore, you also have the option to handle the exceptions from this rule.